Negotiations for political alliance between two former IDF Chiefs of Staff have accelerated over the past few days. 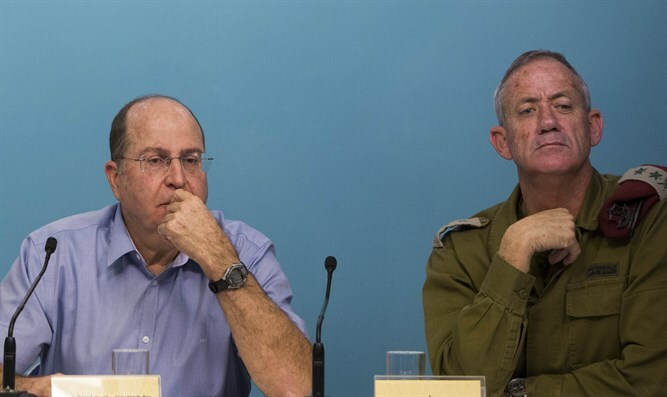 The negotiations for a political alliance between the two former IDF Chiefs of Staff and their parties, Benny Gantz and Moshe Ya'alon, have accelerated over the past few days, Channel 12 News reported on Wednesday. According to the report, Ya'alon is expected to receive three of the top ten spots of the list that will run together. If Gantz decides to add other parties to the alliance, the spots reserved for members of Ya’alon’s party will be moved to lower spots on the list. Gantz is also examining the possibility of an alliance with the Gesher party of Orly Levy-Abekasis. At the same time, Ya’alon and his party, Telem, continue to hold talks with the Yesh Atid party headed by Yair Lapid. Shortly after Gantz formed his party, Hosen Leyisrael (Israel Resilience Party), there were reports that Gantz and Ya’alon would run together, but that move has yet to be implemented. Gantz was also courted by Labor party chairman Avi Gabbay, but those negotiations fell through.